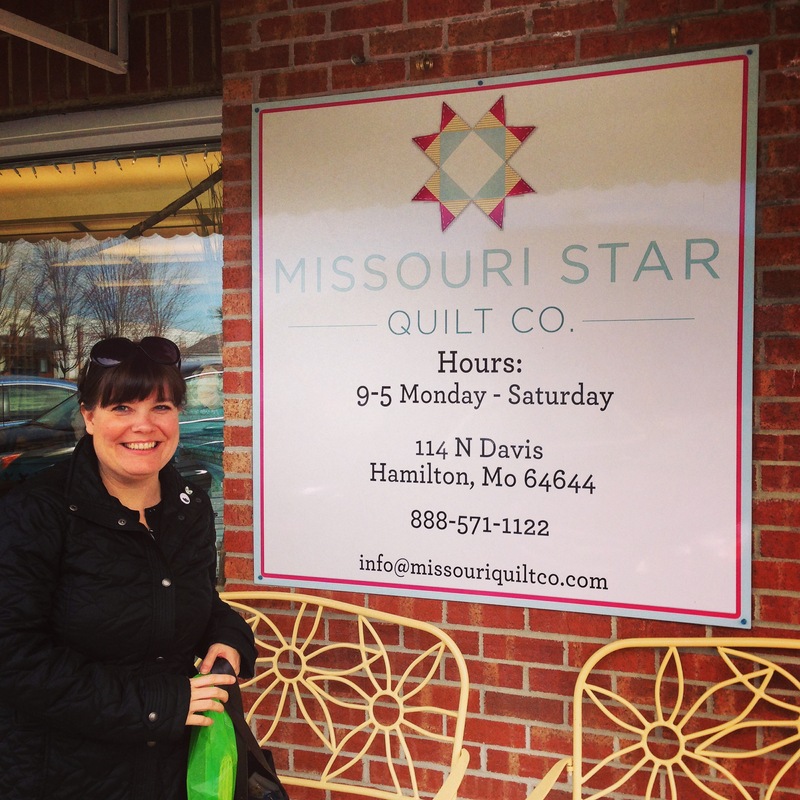 Visiting the Missouri Star Quilt Company made me want to rush home and cut up the fabric I bought for a quilt a few years ago. It also made me want to buy more fabric…which I did. 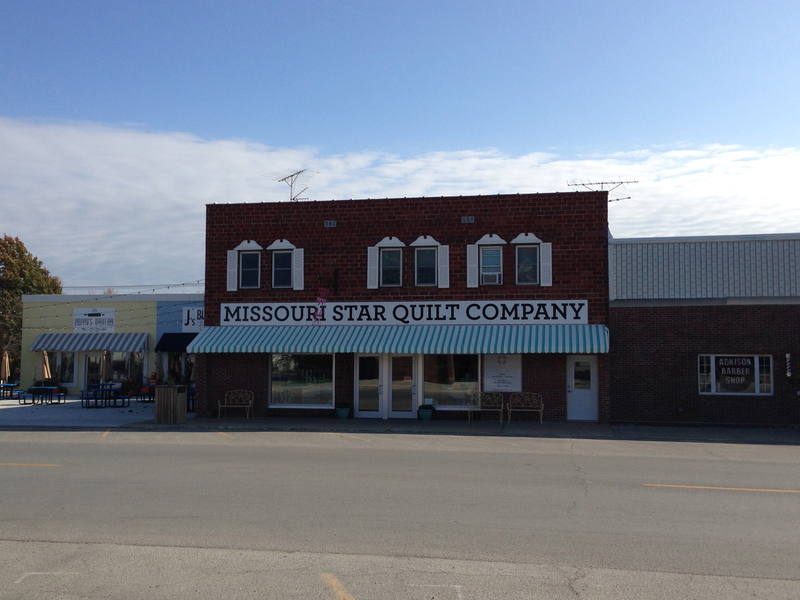 We only visited the main shop and the seasonal fabric shop but Missouri Star has eight stores in Hamilton devoted to quilting. As usual, I regret not taking more pictures. There were aisles and aisles of fabric to choose from in the main store. I had a hard time not going overboard…I figured since I haven’t actually started making a quilt, I should resist buying every single fabric that caught my eye! (Besides, Missouri Star has an online store, so really, I can shop anytime!) 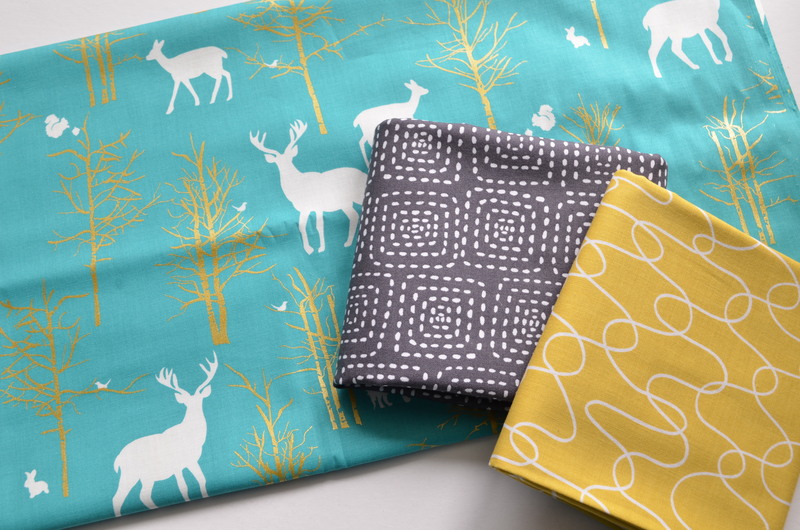 I chose a two patterns to add to my future quilt (the grey and yellow ones) and the forest animals one to make a pillow cover. 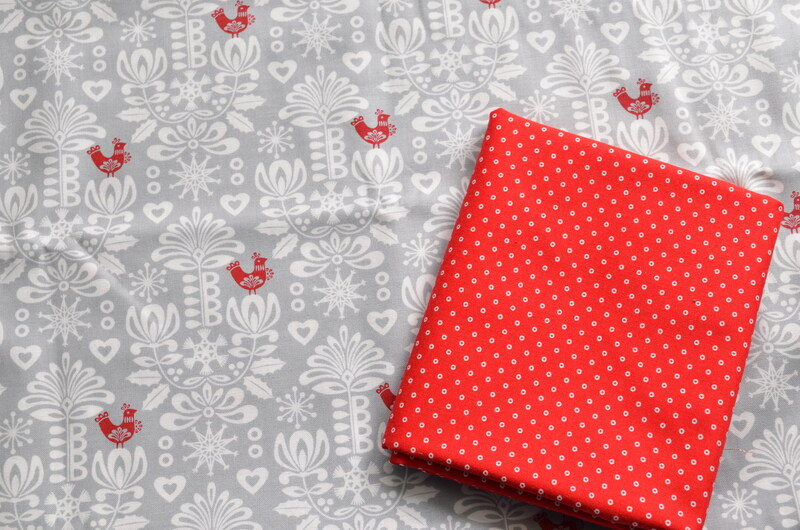 At Sew Seasonal, the holiday fabric store, I found a Scandanavian-style fabric and some coordinating red dots. 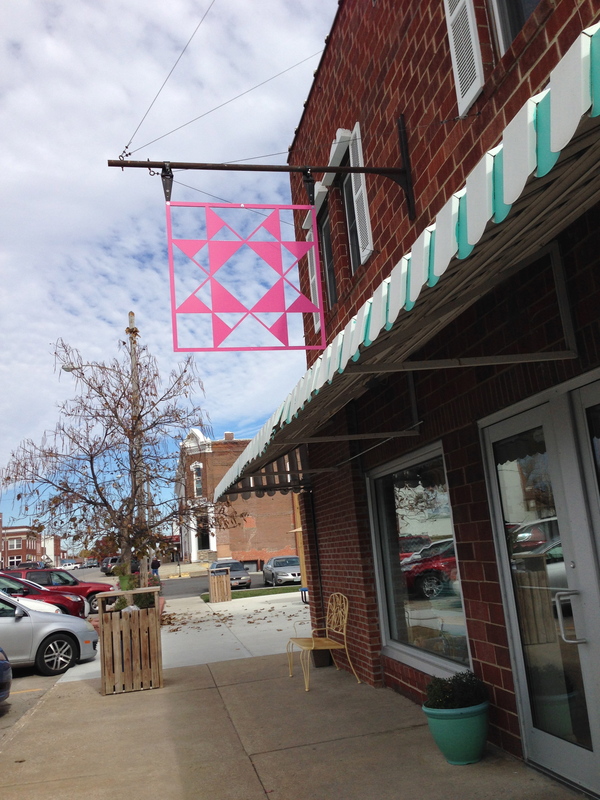 Missouri Star has opened the doors for more business opportunity in Hamilton. There is a new fancy restaurant in town, Blue Sage, which I didn’t have a chance to try but there is a burger place and a bakery that were both quite tasty. 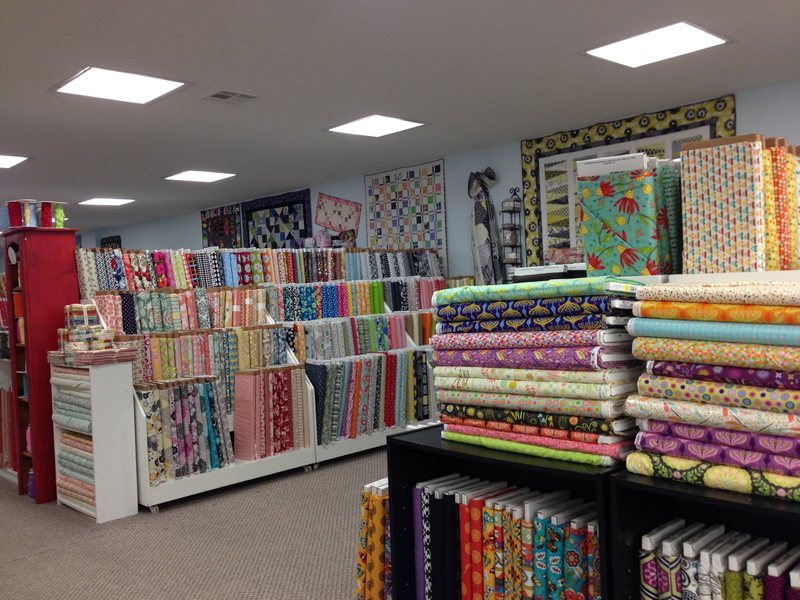 It would be easy to make a day of fabric shopping in Hamilton! How happy you look, that’s a lovely photograph. Promise to let us see the quilting work in progress, the fabric is gorgeous. I placed my first order from them recently and now I want to buy everything. I’m super jealous you got to go there! I had no idea there were 8 stores! I can’t wait to see you put those gorgeous fabrics to use! Would love to know the name of the deer fabrics and coordinates. Brilliant coordinations. Hi BJ! I couldn’t find all of them on the Missouri Quilt Co website, but here is the info for the three pictured with the deer fabric.